We are excited to announce the launch of The Human Track CFP is now open. Be quick about applying as we are closing the doors May 15! See you at DEF CON! The DEF CON 25 SECTF LAUNCH. 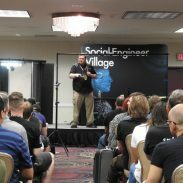 This is your chance to schmooze, vish, elicit, smooth-talk, and social engineer in front of an eager audience of peers. After months of pain staking work drudging through data, we are now ready to release the SECTF report. This report is FREE to download. The DEF CON 24 SECTF Results Webinar. This webinar is a 55-minute presentation featuring an analysis of results from the official 2016 SECTF Report. Followed by a short question and answer forum. Find out how to register. The chaos that is DEF CON has once again come and gone. Relive the all the amazing moments with us. 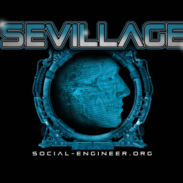 The Social Engineering Capture the Flag DEF CON 23 Report is now live. This year proved to be one of the best years for data so far. The report is sure to benefit your company’s quest to combat Social Engineering attacks. 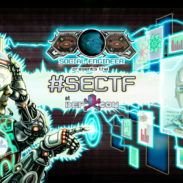 The DEF CON 23 SECTF Results Webinar is a 45-minute presentation featuring an analysis of results from the official 2015 SECTF Report. Followed by a short question and answer forum. Find out how to register. 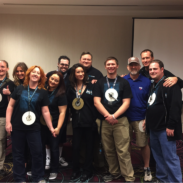 DEF CON 23 – Recap, Updates and More! 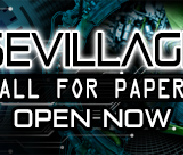 DEF CON 23 – Recap, Updates and More! This year tasked with developing and hosting a brand new event. Relive all the amazing moments with us.